First Federal of Delta came to us as a recommendation from a guests at a previous event that our photo booth was at. They were looking for a fun way to add some entertainment to their company Christmas party. 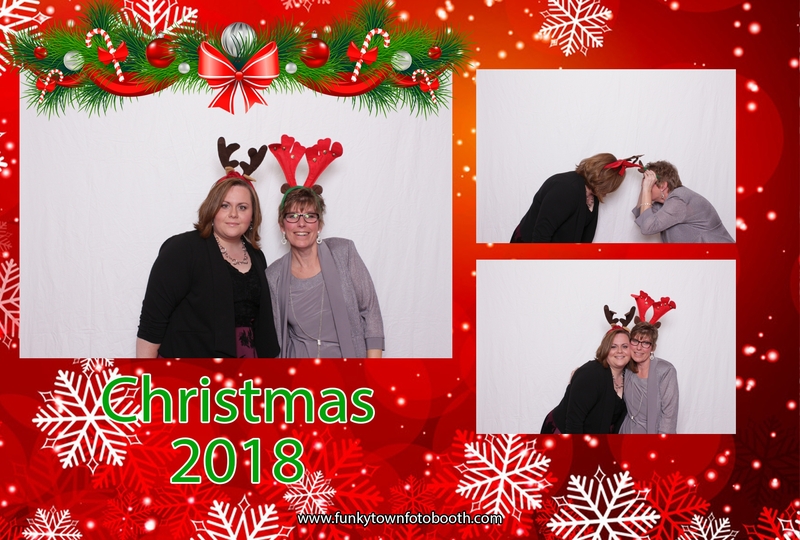 We told them what we offer from our open air booth to the high quality prints, they knew right away our booth was the best option for their Christmas party photo booth. Then came the fun part, picking out the photo booth options. They kept it simple with our white backdrop. Of course they went with our Christmas props which includes Santa hats, elf hats, reindeer antlers, giant sunglasses and more. When it came to designing the prints they went with a 4×6 print design with a classic Christmas look. 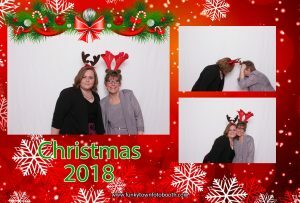 For any Christmas party photo booth you need a killer print design that will stand out. We went with a classic red background with snow falling layered behind the pictures. Since the design needed a little more depth I added the Christmas garland to help feature the first picture taken in each session. Of course you want to remember what year this party was so we added the year. It’s not a super complicated design but the client LOVED IT! Your event is important whether it is a Christmas party, Wedding, Birthday Party or Bridal shower. That means you need to find a high quality photo booth with employees that care. We are ready to book your party even if it is this week. 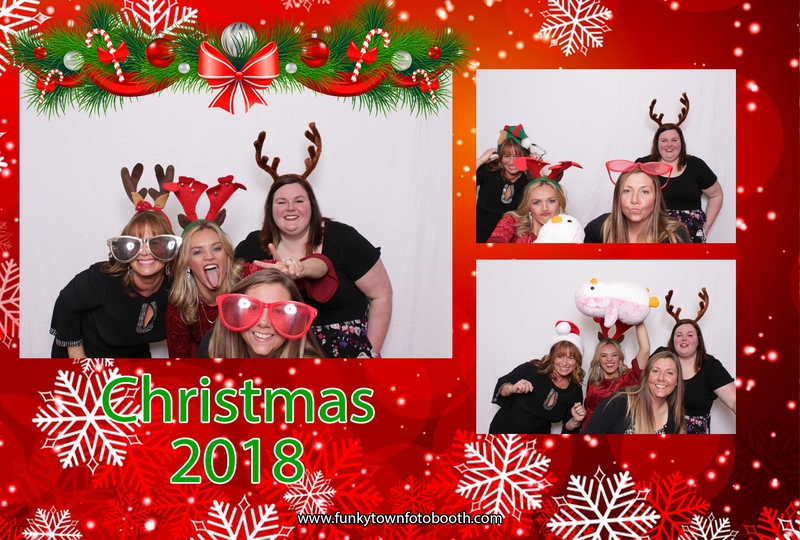 Contact us today to customize your photo booth rental today! 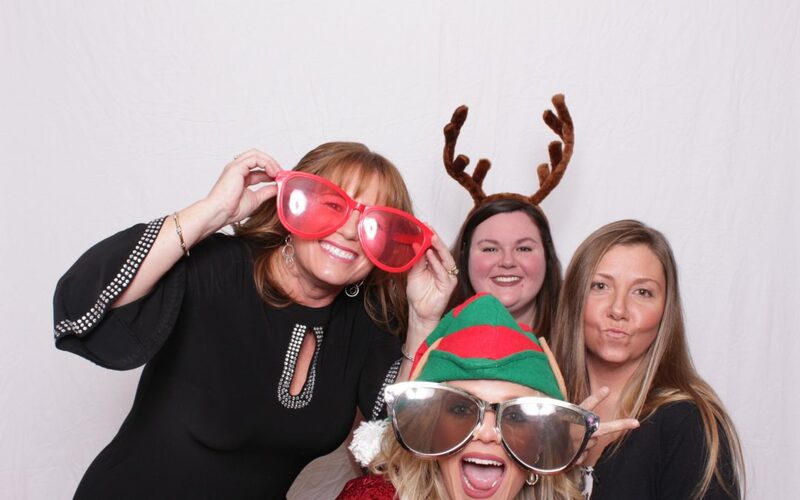 To see all the pictures from First Federal of Delta’s Christmas party check out our gallery.